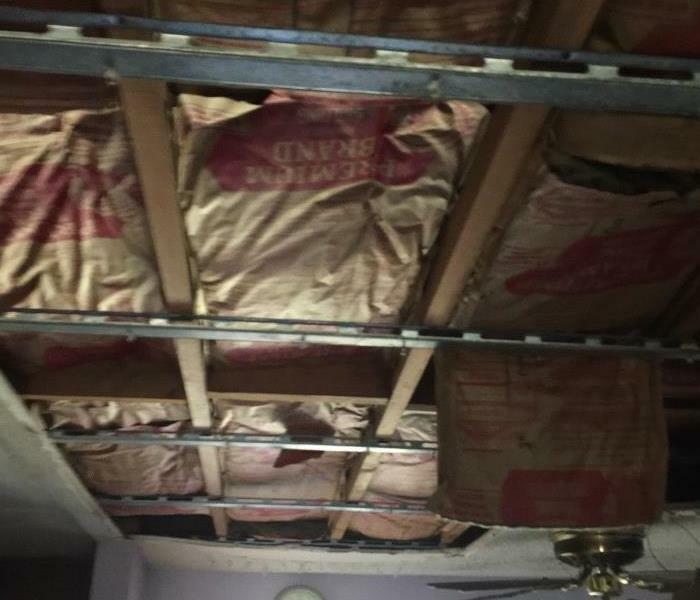 Water damage occurred in this San Dimas home when rain entered the roof, affecting the attic, hallway, and several rooms. Insulation was removed and a dehumidifier and two air movers were placed to help repair the damage. After a sprinkler head was hit in an upstairs Long Beach unit, water began to cover the entire residence. After the fire department left, our goal was to remove the rest of the standing water, place drying equipment, and begin demolition, pictured here. 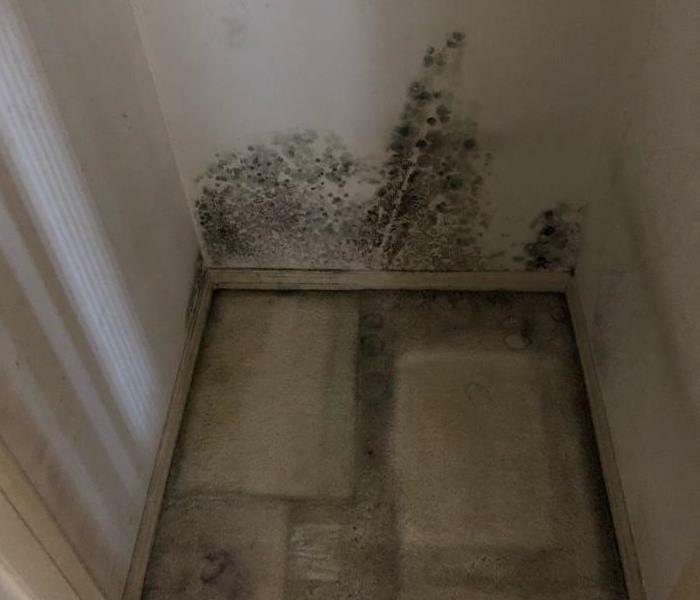 As soon as moisture and mold were found in the laundry room of this Long Beach residence, a dehumidifier was placed, and mitigation was scheduled. Thankfully, the damage was found before it could spread throughout the home. 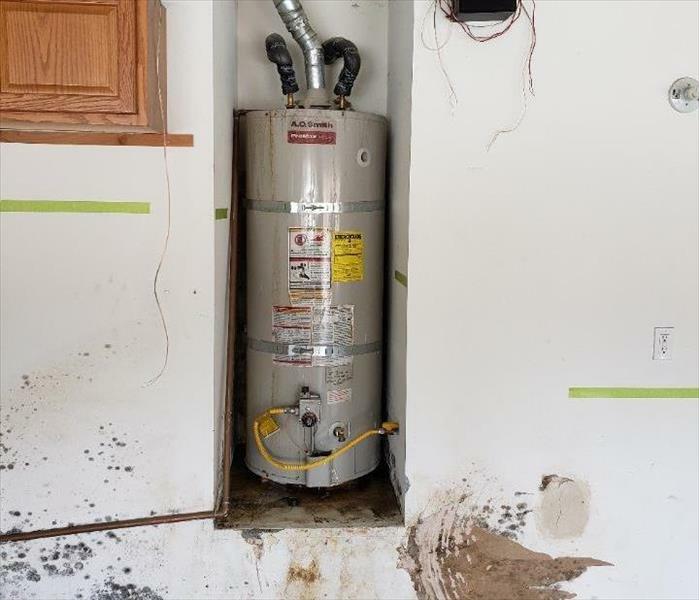 A water heater began to leak in this Perris residence, resulting in extensive mold damage throughout the garage, closet, and bathroom. When water damage is not caught in a timely manner, a seemingly minor issue can lead to extensive remediation. 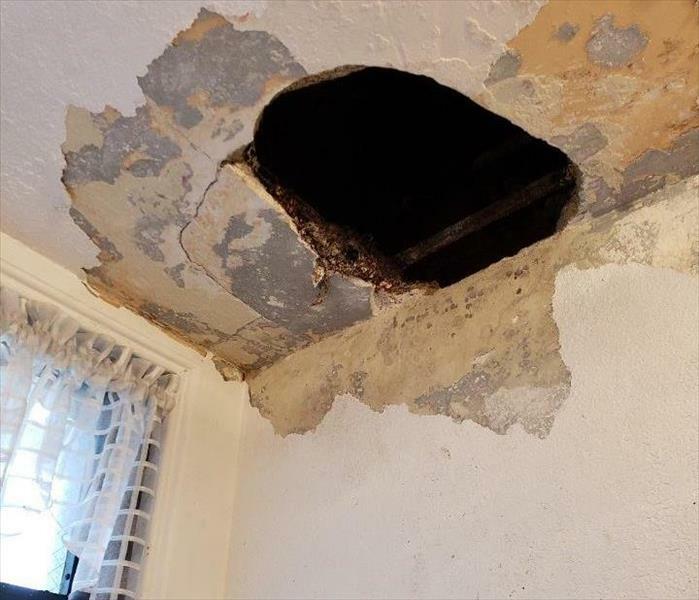 After a Long Beach tenant noticed water coming from the ceiling, it was determined that the refrigerator line from the upstairs unit malfunctioned. We were ready to moisture map the area, place a containment, and begin drying the unit. A clogged condensation line from an A/C unit on the second floor resulted in water damage to this Long Beach home. We created a plan to fix the damage and dry the unit thoroughly. 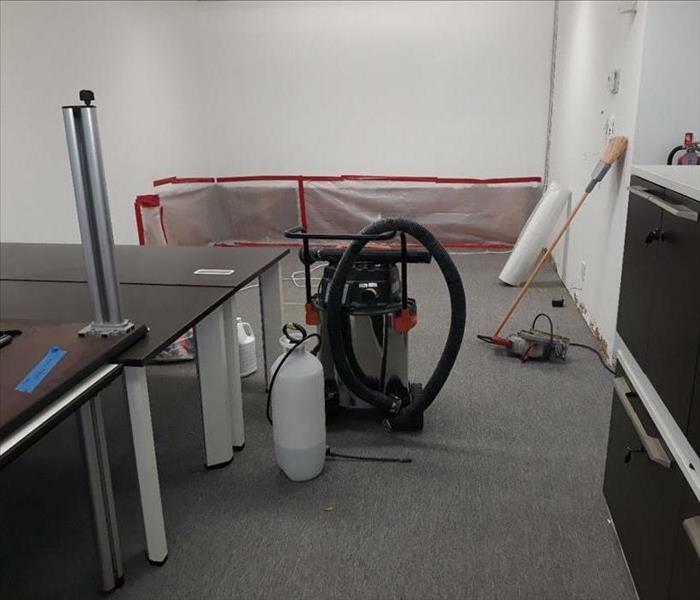 We conducted extensive cleanup at this Buena Park facility to remove soot and dirt. The affected areas were scrubbed thoroughly, and air movers were placed in the affected areas. Scissor lifts were even utilized to clean the hard-to-reach areas. 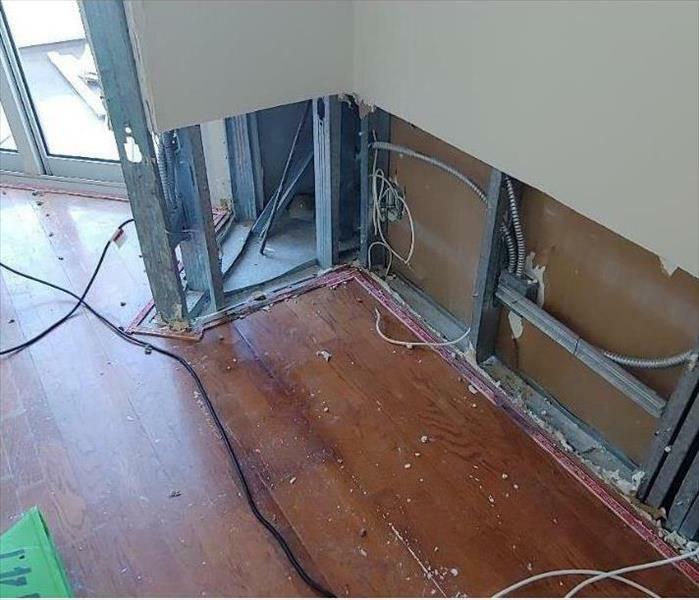 When water damage occurred in this Long Beach residence, drywall was removed to reach wet insulation. Additionally, carpet was replaced and drying equipment was used throughout the house to help reverse the damage. A supply line broke in this local establishment, causing an unexpected panic. The lounge, supply room, and hallway experienced heavy water damage. We scheduled demolition to fix the drywall, carpets, and cabinetry and worked hard to restore the facility back to new. 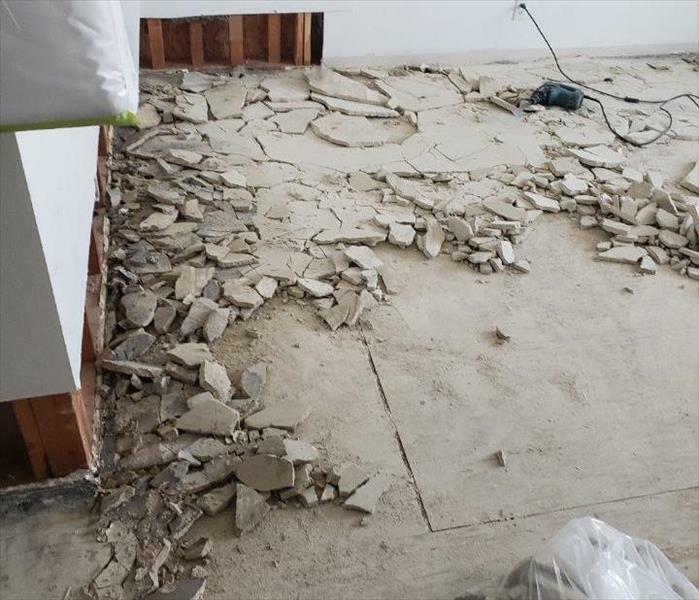 As a result of water damage, this Huntington Beach home required immediate restoration to fix the floors and walls. Unfortunately, the wooden floor boards experienced irreversible saturation and needed to be removed. As a result of water damage, mold was found in the ceiling and along the walls of this Huntington Beach home. 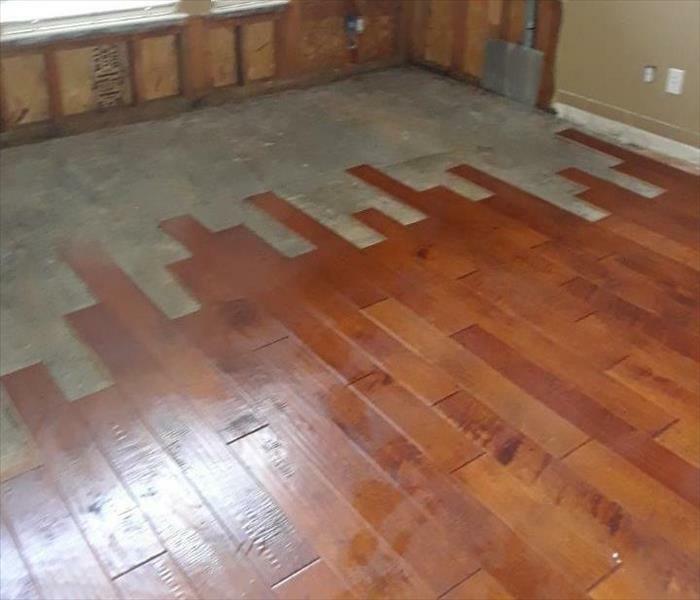 Many of the wooden floor planks required removal due to irreversible saturation. 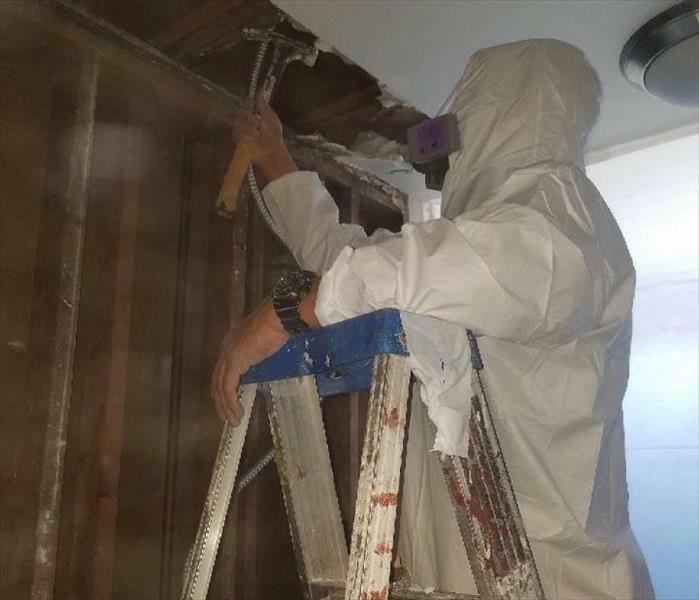 When this Long Beach property experienced damage from the rain, we found wet insulation and mold growing on the drywall. Demolition was scheduled, and drying equipment was placed to reverse water damage in the bedroom, crawl space, and laundry room. A slow leak from an upstairs unit affected the drywall, cabinetry, and insulation in the kitchen of this Long Beach unit. After a containment was constructed, equipment was set to dry the area and plans were made to remove microbial growth. 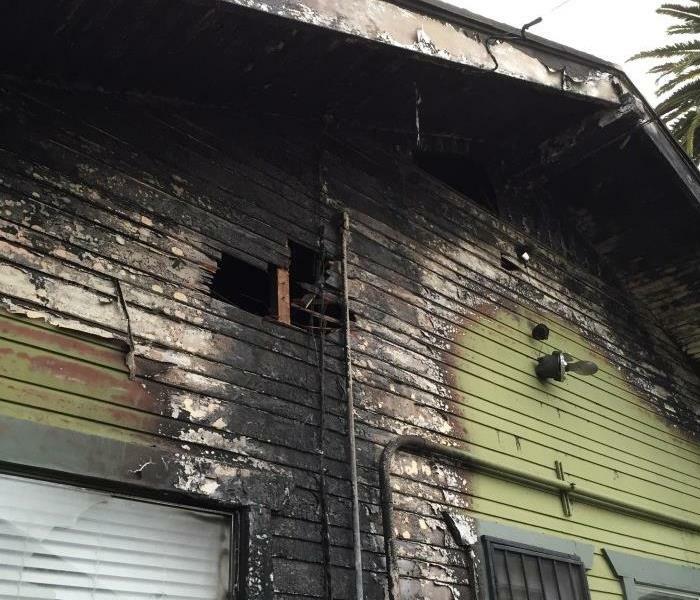 A fire erupted in a Long Beach unit, resulting in a near total loss for the renter. We set air scrubbers in the unit and assisted with the board-up before demolition began. The adjacent unit required a full pack out and content cleaning due to heavy smoke damage. 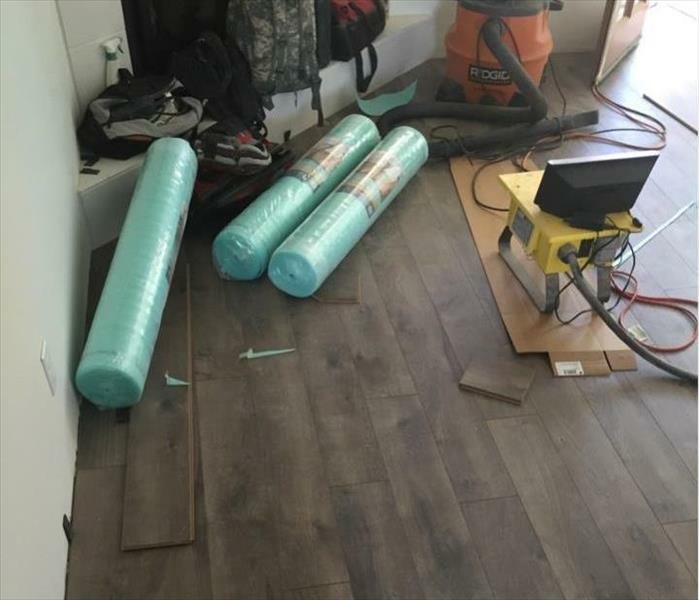 As work commenced to reverse water damage in this Long Beach home, our team began by setting up a containment and rolling Trimaco surface protection over the floors. Demolition was scheduled to remove mold from the framing studs, and drying equipment was placed to remove moisture from the floor. 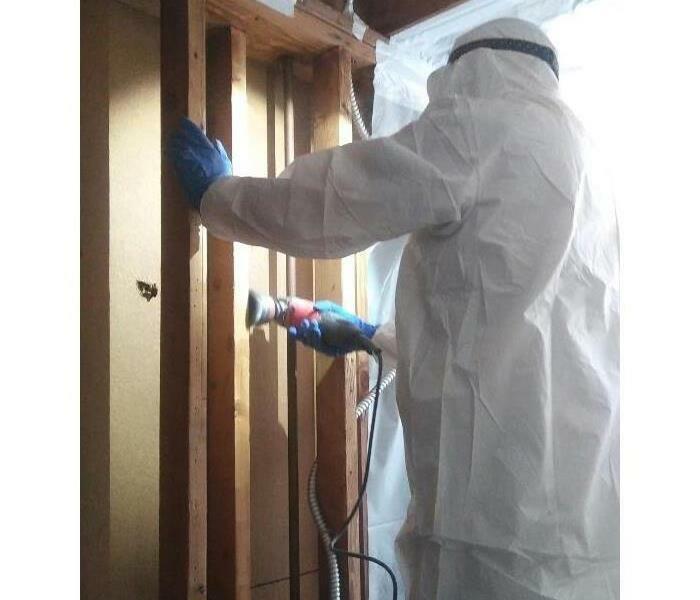 When a Huntington Beach resident suspected mold in their home, we found moisture to be the root cause. After a full inspection, remediation began to remove the mold and prevent further growth within the house. 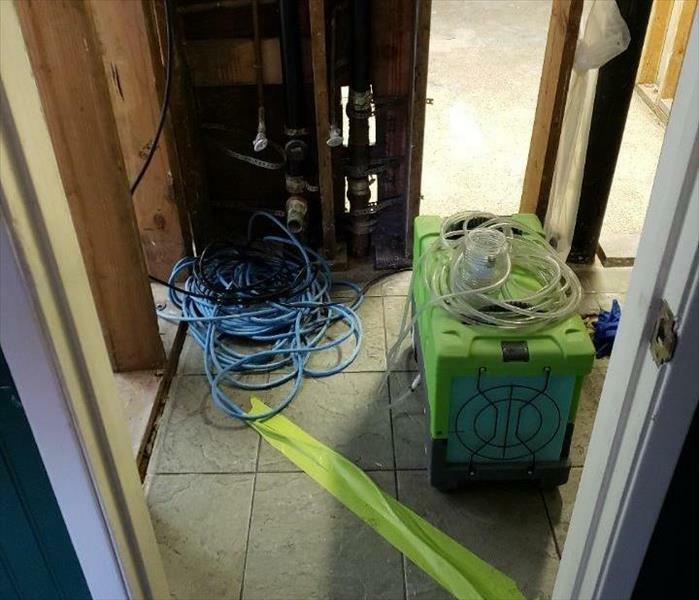 A local business experienced extensive water damage, affecting primarily the carpet and floors. After moisture mapping the area, we extracted water from the lobby and removed the affected carpet padding. A containment was constructed in the break room, and three fans and one dehumidifier were placed to dry the area. Significant improvement was visible after several days. 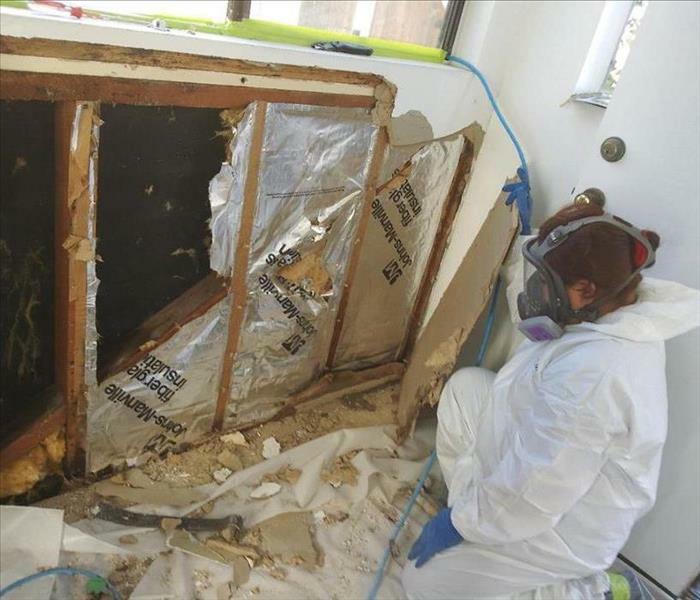 When mold was found in the hallway and bathroom of this Long Beach home, containment and demolition were scheduled to eliminate the affected areas. Our expert team followed through with cleanup, vacuuming, and sanitation, allowing us to pass the mold testing with flying colors! We're proud members of the NARPM Long Beach Chapter! 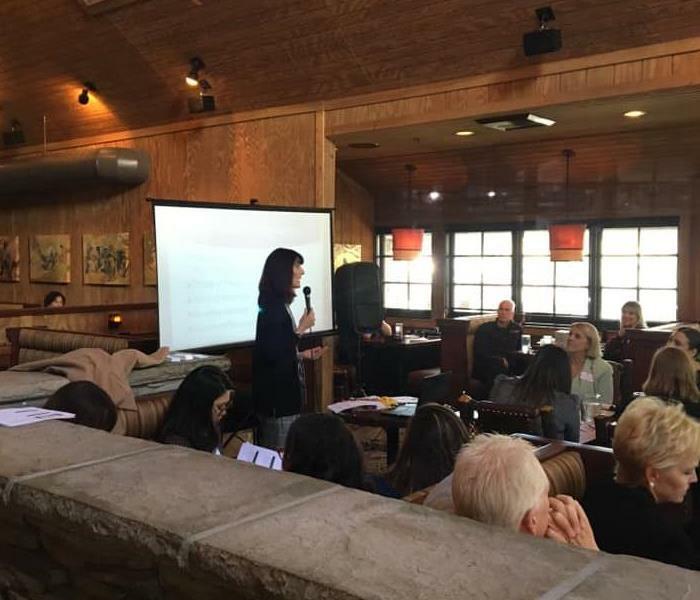 We were asked to join a panel of Restoration Companies at the February meeting to present information to our Property Manager partners. The event was well received; we provided insights around water damage, pollutants and factors to consider when looking at using in-house resources vs a restoration service. After a copper line broke in the bathroom of this home in Cerritos, we were ready to help reverse the damage. 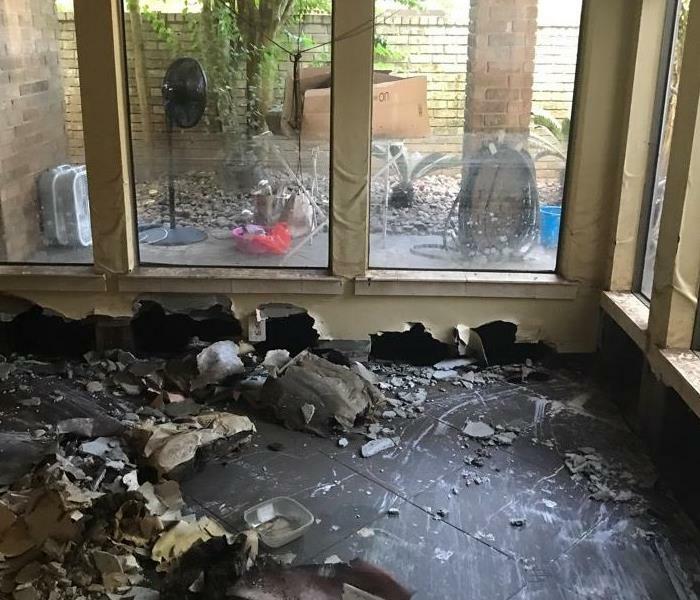 The water loss affected nearly the entire home, and an off-site pack out of the tenant’s belongings was necessary before repairs could begin. A large component of the project involved removing hardwood floors, pictured here. 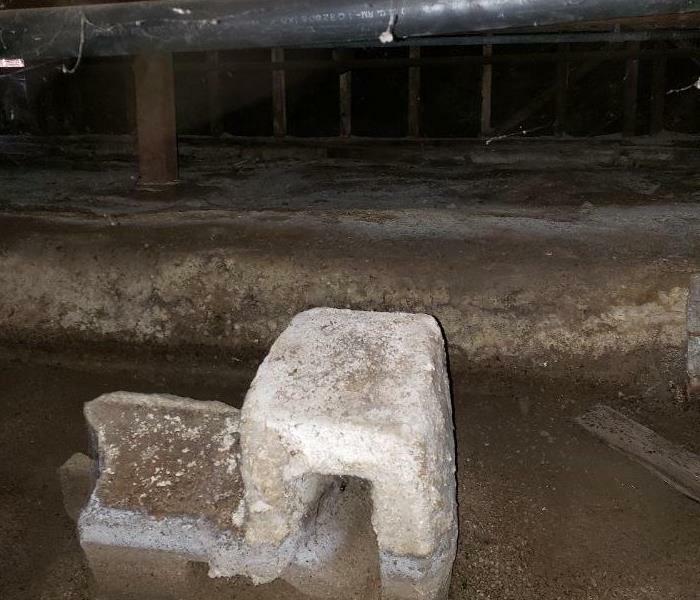 When a hot water line broke inside the crawl space of this Pico Rivera home, our technician arrived to the scene and began moisture mapping the area. A game plan was created, and the primary focus was to dry the hardwood floors and remove mold from the crawlspace. 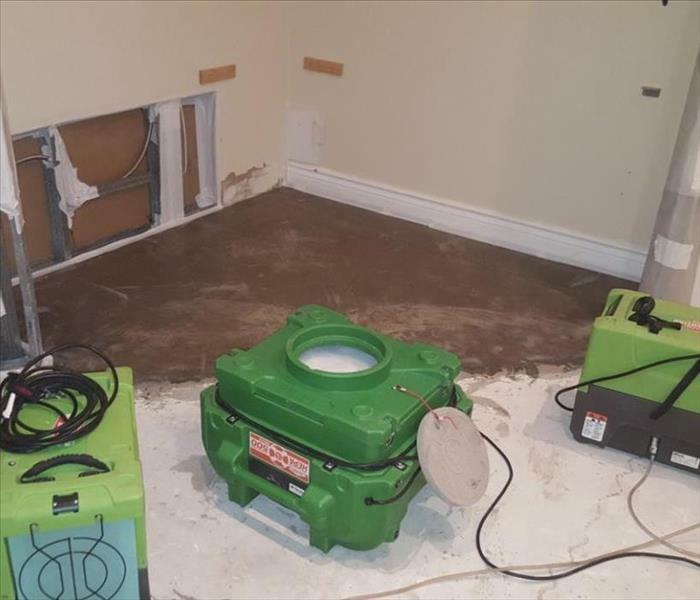 When this home in Long Beach experienced water damage, we began the dry down process by setting up all necessary equipment. 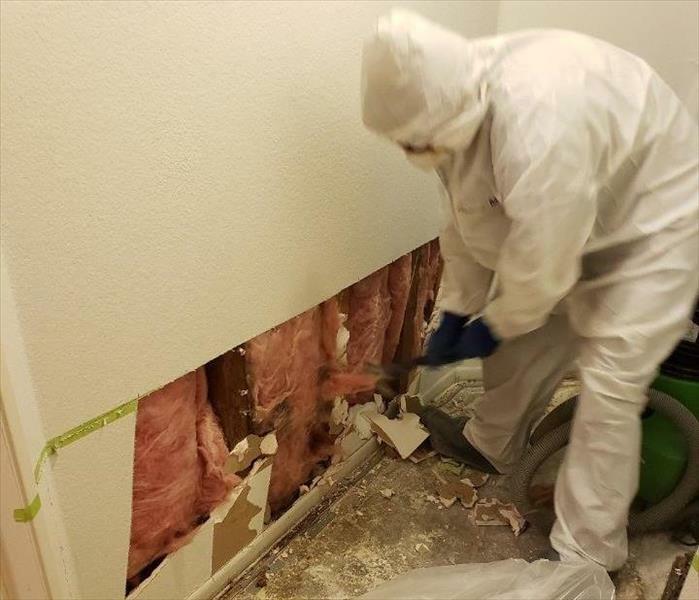 After the tenant was relocated and a pack out was completed, asbestos abatement was conducted, and we were able to complete all necessary repairs. Several units in Long Beach experienced large water loss after rain water had seeped through the roof. Due to extensive damage, demolition was required to restore the units. The mitigation team began removing wet insulation and replacing saturated floor boards, shown here. After a local business experienced fire and water damage, all the insulation needed removal and every surface had to be wiped down. Air scrubbers were set up and mold testing was scheduled. The project became a challenge for our team due to its large scale, but restoration occurred smoothly. Water began to leak in this Long Beach unit, affecting the ceiling and walls. Once the source of the issue was resolved, the damaged areas were removed for full restoration. Additional cleaning and maintenance helped restore the bathroom back to new. 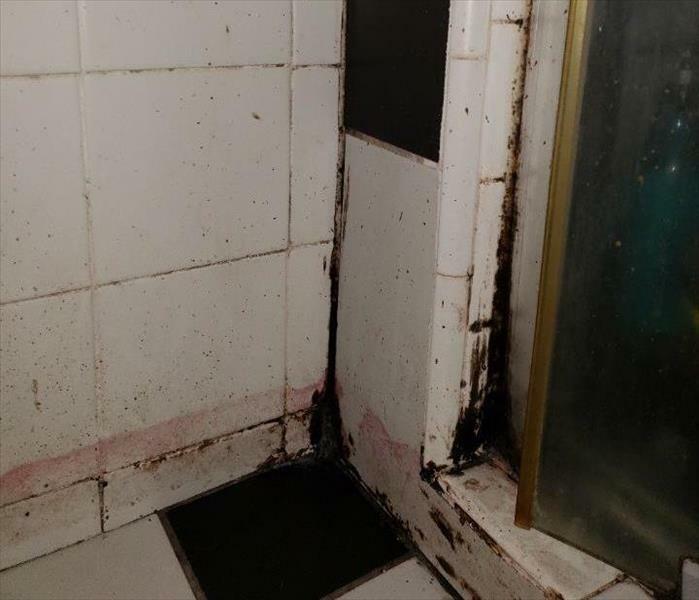 When water damaged occurred in the bathroom of this Long Beach unit, mold began to form. 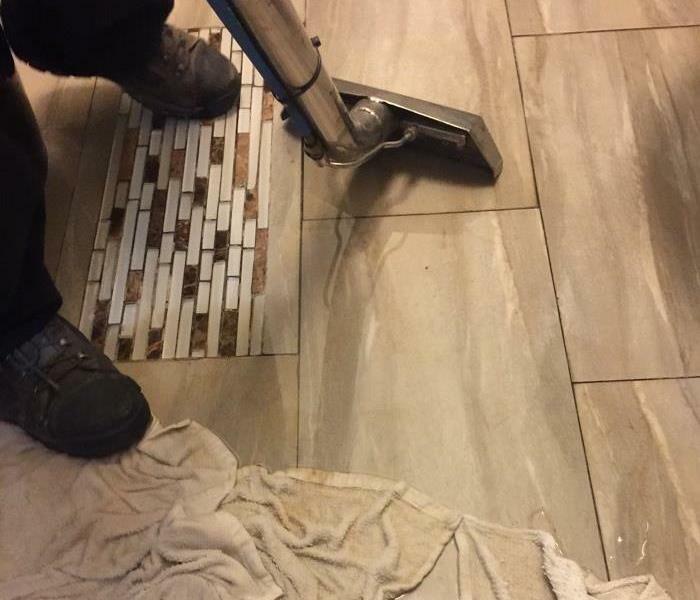 Tile and materials needed to be removed to rectify the situation. 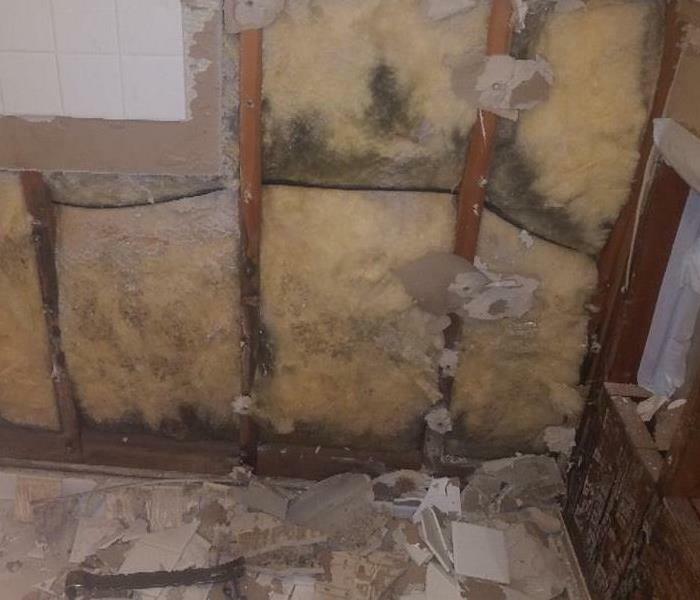 Equipment was used to remove moisture, and the mold was removed to effectively clean the bathroom. Long Beach residents experienced water damage when a faulty pipe began to leak water throughout several units. Saturated areas such as the carpet and certain paneling were removed and replaced. Equipment including a dehumidifier and air mover were brought to reduce moisture and reverse damaging effects. Water damage permeated this Long Beach unit, resulting from a defective pipe. Flooring and paneling were removed to reveal mold growing from the water leak. After necessary testing was done, the mold was removed from the residence. The paneling was replaced and restored back to new. After a leaky pipe saturated this Long Beach unit, equipment was brought to dry the residence. Carpet and paneling behind the common area was removed for further investigation. Mold was found and subsequently cleared and removed. Lastly, installation, drywall, and texture was replaced in a timely manner. When water damaged several units in Long Beach, SERVPRO of Downtown Long Beach / Signal Hill answered the call. 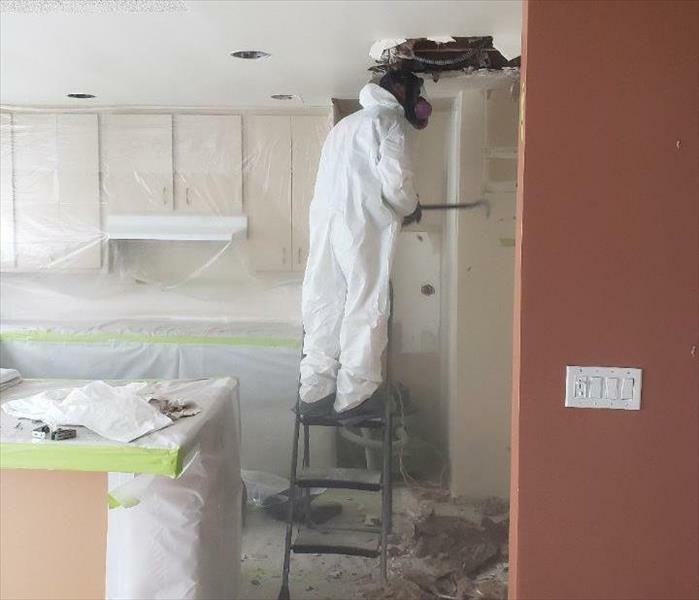 The floors and baseboard in the living room and kitchen were saturated, and demolition was needed to remove affected areas on the walls and ceiling. The high reaching ceiling became an extra challenge and required careful use of a Genie lift, pictured here. Fortunately, the lift allowed access to the areas needing repair. 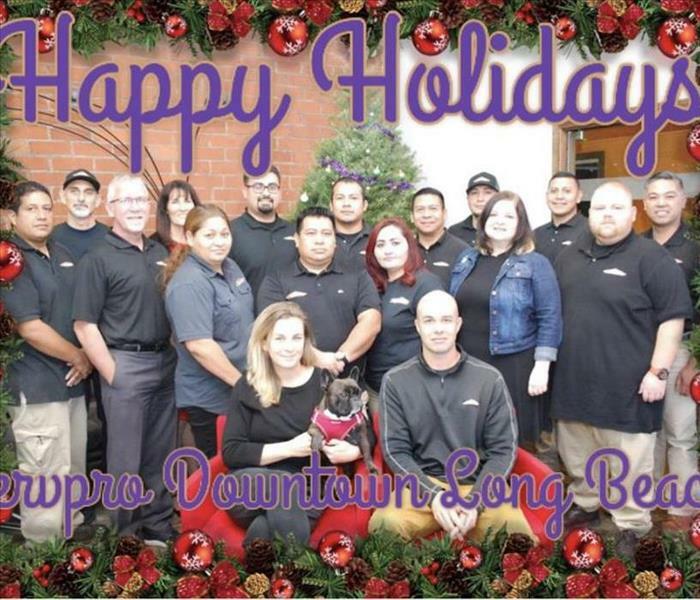 The SERVPRO Downtown Long Beach / Signal Hill team wishes you a wonderful holiday season! May your days be merry and bright! When water began to overflow in this Long Beach unit, the walls and floors became saturated. 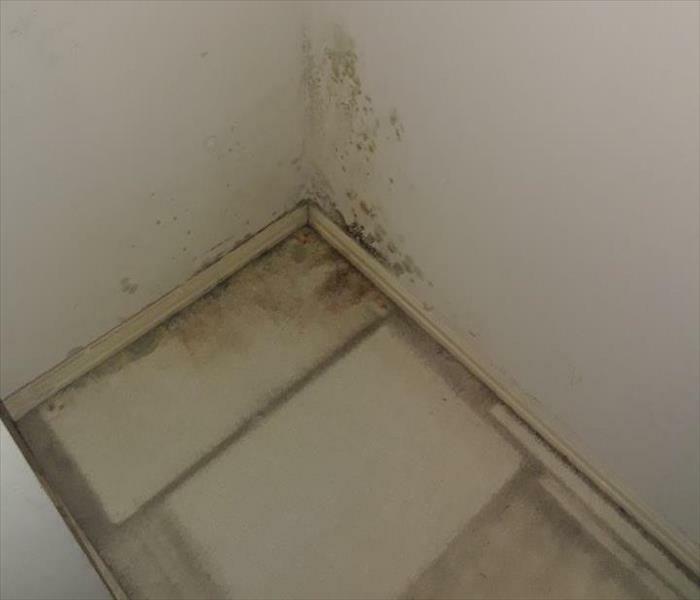 As a result, mold became present within the closet and bedroom. The areas that could not be cleaned were removed to give the resident a clean and healthy place to live. 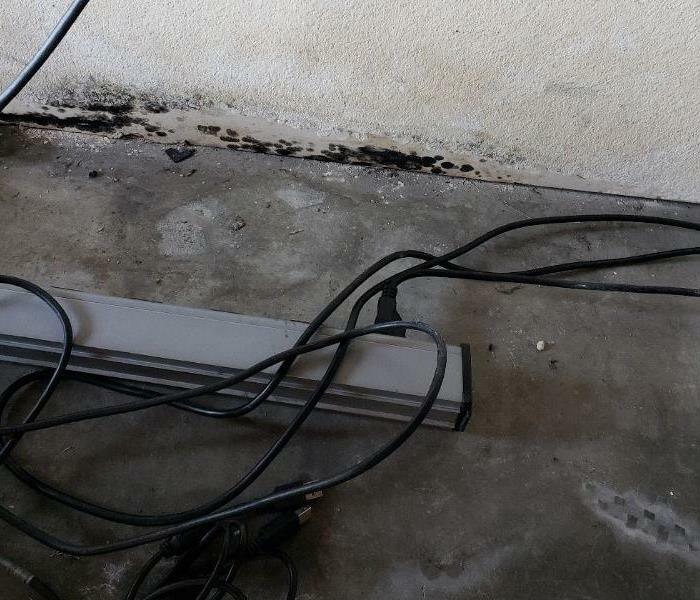 After an adjacent unit experienced water damage, mold was found behind the drywall in this Long Beach apartment. SERVPRO of Downtown Long Beach / Signal Hill was ready to begin demolition to remove the mold and repair the affected areas. The owner was happy to see his home restored and his problem resolved quickly. After a supply line to the toilet began to leak in this Long Beach residence, several areas of the home began to experience water damage. 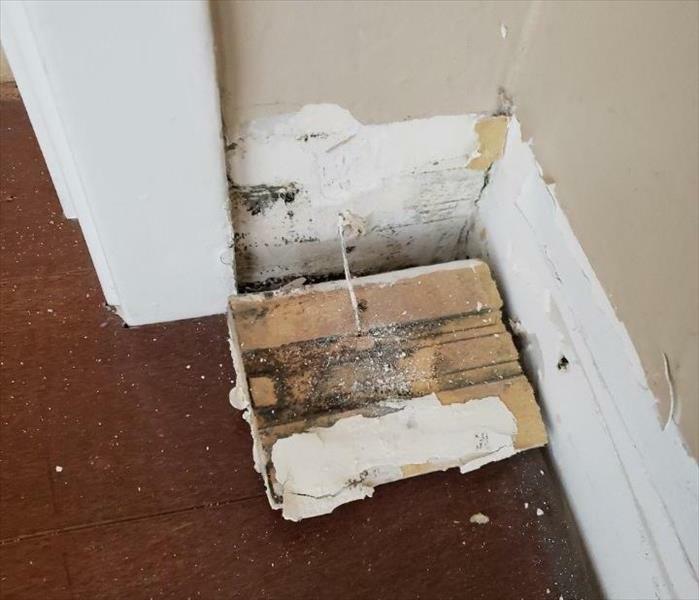 Unfortunately, mold was found behind this baseboard, and mold remediation was scheduled to begin restoring the home back to new. The building pictured here experienced extreme damage during Hurricane Harvey in Houston, Texas. SERVPRO was called out to help restore and repair damage caused by water, wind, and debris. This particular project required a large amount of cleaning and rebuilding. Our workers were up to the task and made significant progress in helping Houston get back on its feet. Houston, Texas, experienced overwhelming damage after Hurricane Harvey in 2017. SERVPRO's first responders arrived on the scene to help local homes and businesses get back on their feet. In the residence shown here, flooring was removed before the room could be properly dried down. The skilled team of workers coordinated restoration tasks and set up equipment to help reverse the damage. 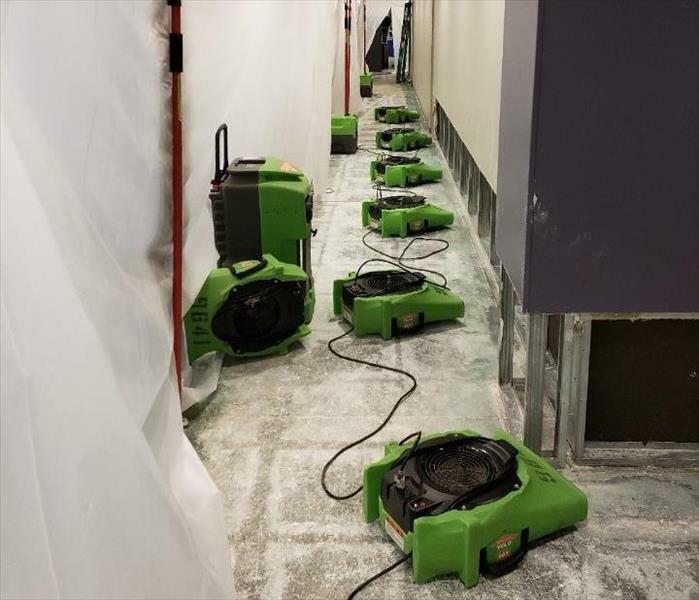 When Hurricane Harvey caused overwhelming storm damage to local establishments in Houston, Texas, SERVPRO was called to helped repair and restore. Torrential rain caused significant flooding and eventual mold damage. 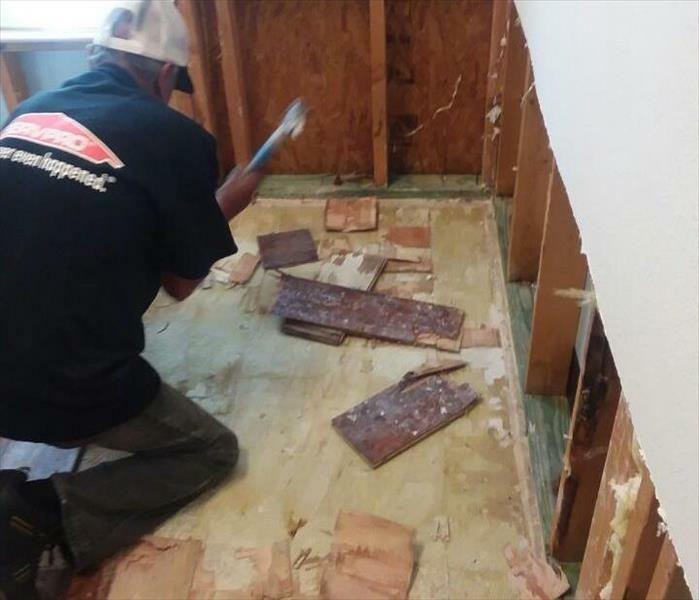 In this particular home, flooring and walls needed to be removed to eradicate water damage. 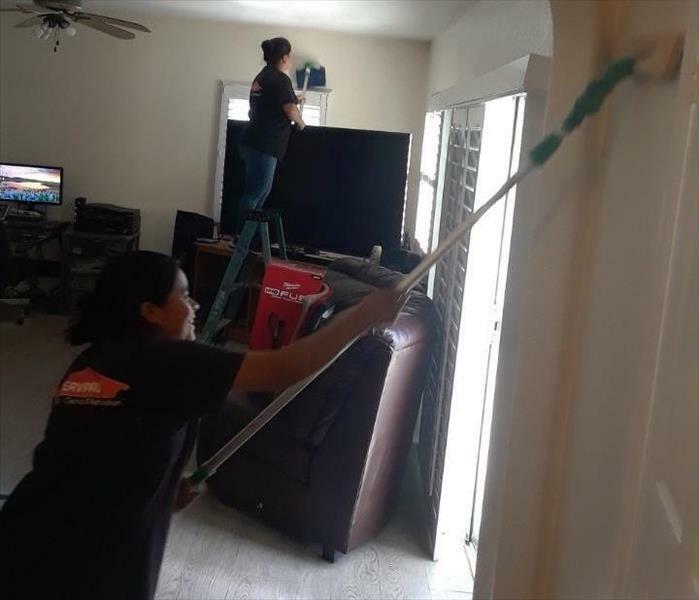 After Hurricane Harvey struck Houston, Texas, SERVPRO responded to the emergency to aid local homes and businesses. Water, wind, dust, and debris caused immense damage to this local home. Our air blowers, pictured here, help remove moisture as the team continued to clean and repair the home. In many cleaning and restoration situations, immediate action is needed. Water damage is particularly invasive and causes noticeable damage within the first hour. 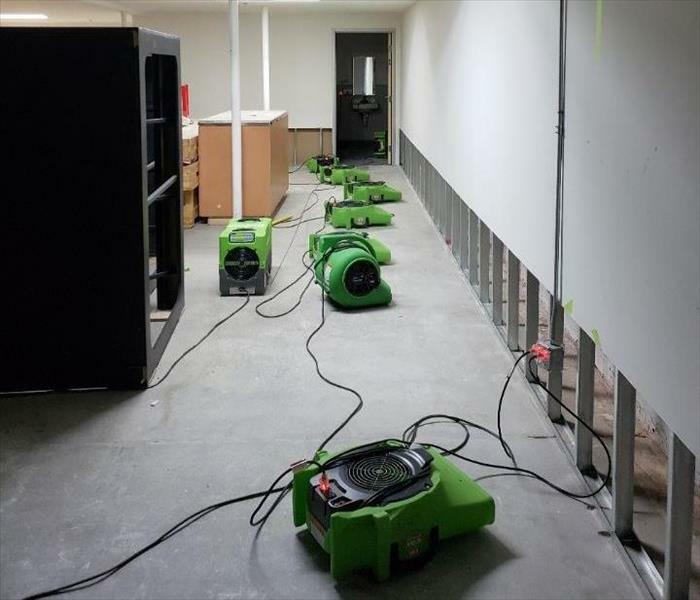 When our responders were notified of water damage in Sylmar, they quickly handled the situation by performing an assessment and laying down fans and dehumidifiers. 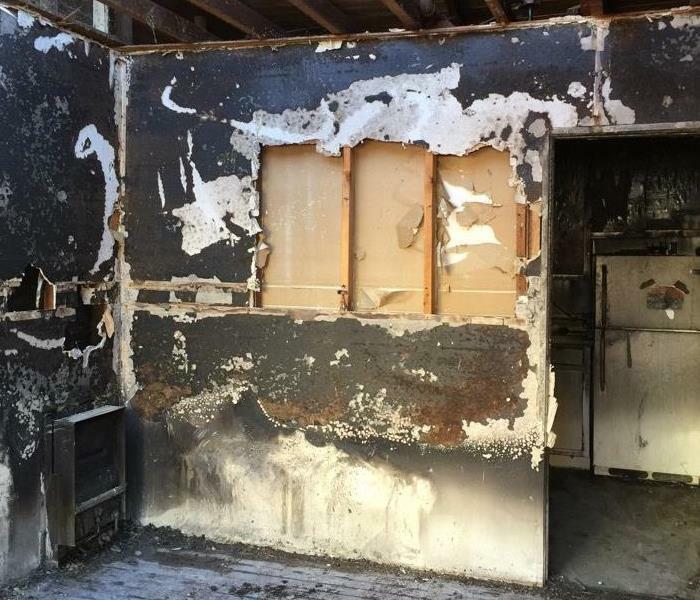 When fire and water damage occurred in this Long Beach residence, our qualified technicians were ready to respond to the job and restore the building. When you call us, you can be confident that our technicians have completed specialized classes in the field of cleaning, inspection, and restoration and have the knowledge to provide expert service. 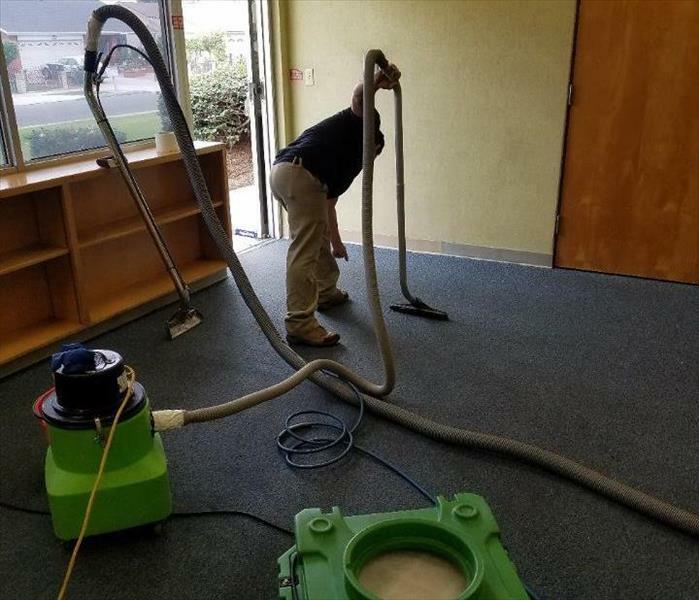 When this Long Beach building needed professional cleaning, our crew was ready with the proper equipment to effectively restore the building. We rely on powerful water extraction equipment to repair water damage, air scrubbers to remove odors, and specialized vacuums to remove debris. You can count on us to come prepared with the right equipment for any emergency. Flooding and water emergencies don’t wait for regular business hours and neither do we. 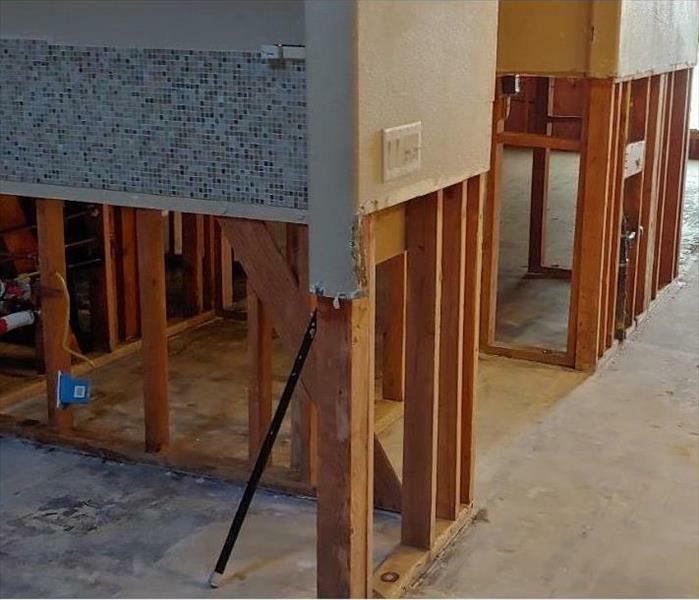 When a supply line burst in this residence in Cerritos, our team acted quickly to respond to the emergency, remove the standing water, and restore the residence. Don't hesitate to call; we are ready 24/7. When a pipe burst in this building, the team was ready and qualified to handle the situation. Our responders are trained to standards set forth by the Institute of Inspection Cleaning and Restoration Certification (IICRC) and complete various year-around education courses at the highest degree. You can count on them to handle your emergency. Our technicians use their equipment at the highest caliber for all restoration and cleaning services. The dehumidifier used in this Long Beach project combats mold and mildew, reduces musty smells, and hinders the growth of dust and mites. 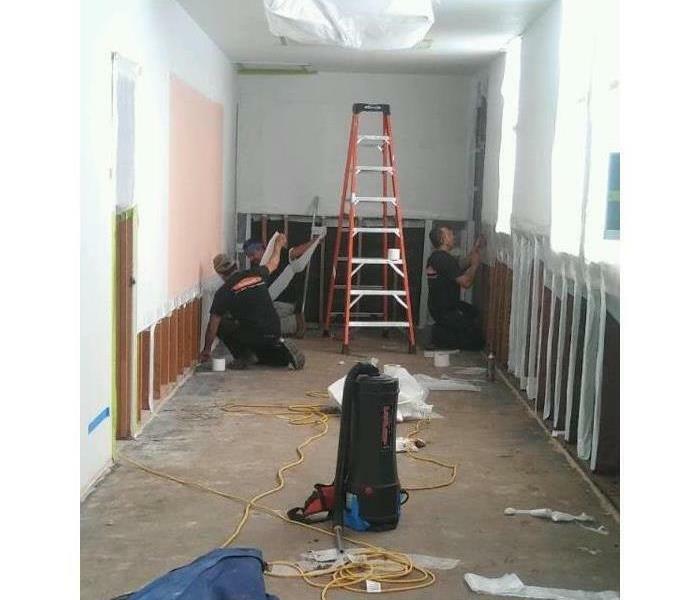 When water damaged this building in Long Beach, our crew quickly began water mitigation. Asbestos and lead paint testing was conducted, and eventually mold was found. Demolition was required to remove the damaged areas, and the building was restored back to new. A broken sprinkler line resulted in standing water throughout this facility in Sylmar. Our crews managed to remove the collapsed ceiling tile and insulation and began the extraction process. Dehumidifiers assisted with the humid ambient air, and a game plan was set up after moisture mapping the area. 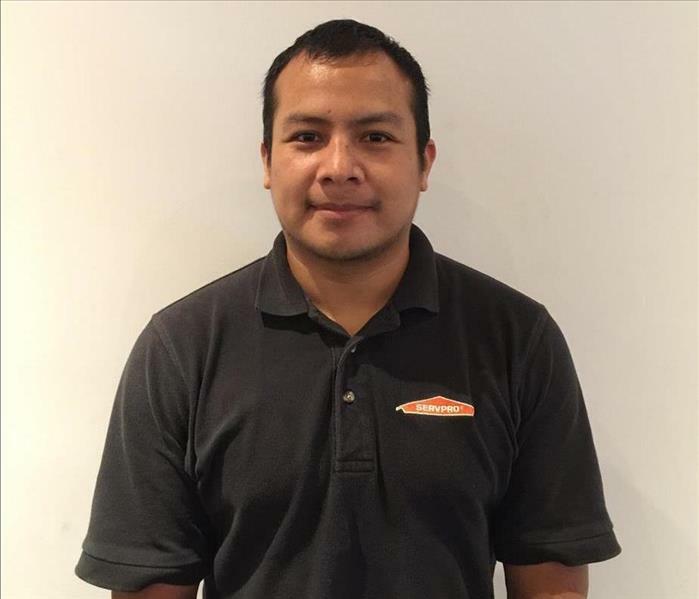 Joel Hernandez is our employee of the month for August 2018. His dedication to the job, willingness to go above and beyond, positive attitude, and excellent work ethic earned him this award. Joel has worked in the industry for 3 years. When asked what he likes best about the job, he responded that it’s the people that he works with. He also likes having a varied schedule; each day is different with new locations, situations to face, and problems to solve. Having active, physical work also appeals to Joel (as long as materials aren’t too heavy!). His favorite activity, when not working, is sleeping! Congrats Joel, and thanks for your terrific contribution to the team! 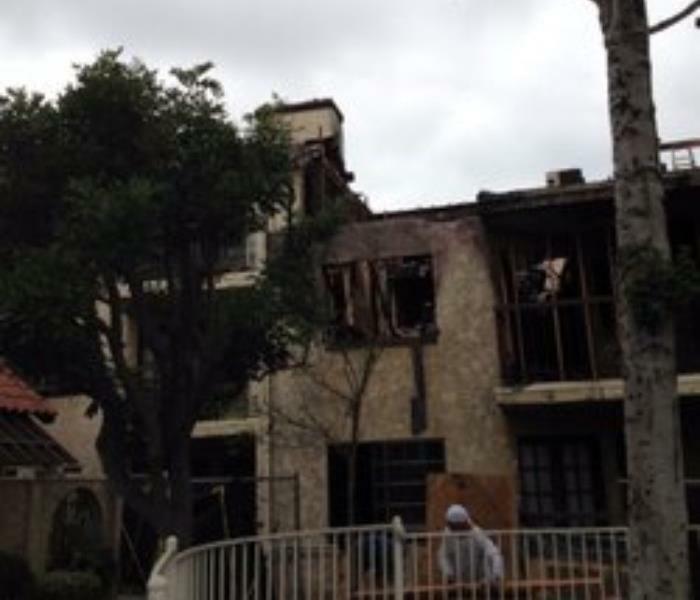 Fire erupted from an oven in this Los Angeles home. 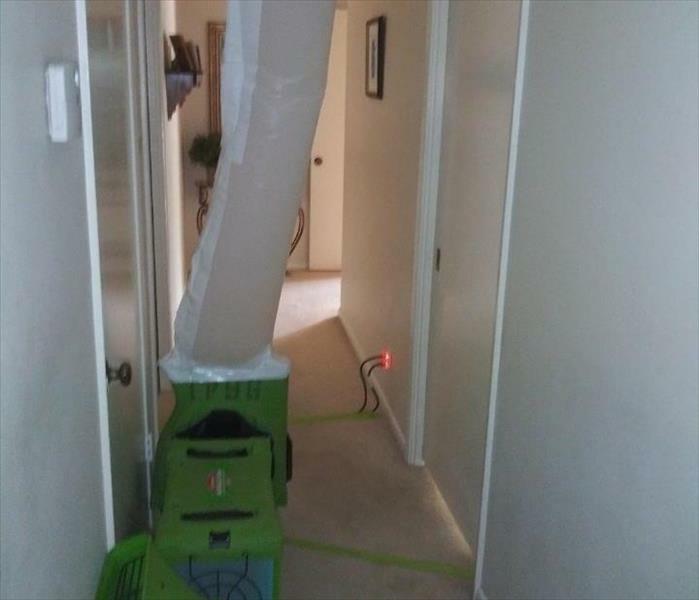 In order to clean the smoke damage throughout the house, we used air scrubbers to thoroughly and meticulously clean all surfaces. Thankfully, we were able to eradicate the damage caused by the fire. 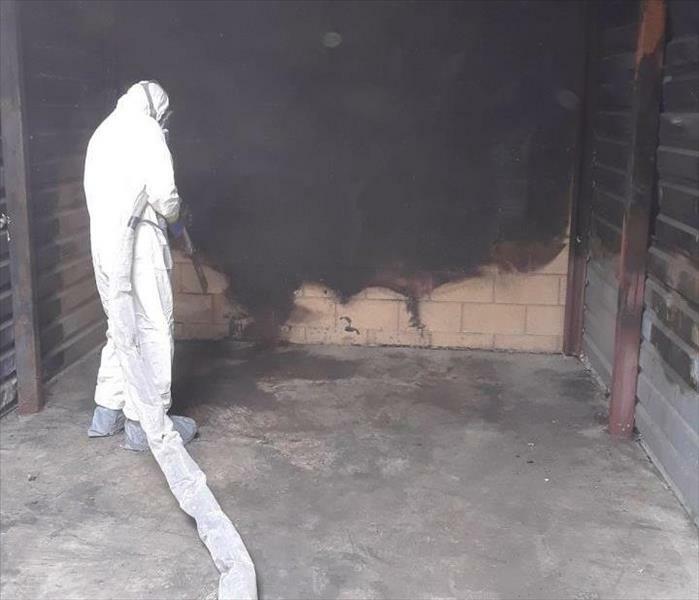 After a fire devastated this local storage unit, our crew helped clean the damage. Using a Cold Jet blasting machine, they were able to clear off damage to the walls inside and restore it back to new. 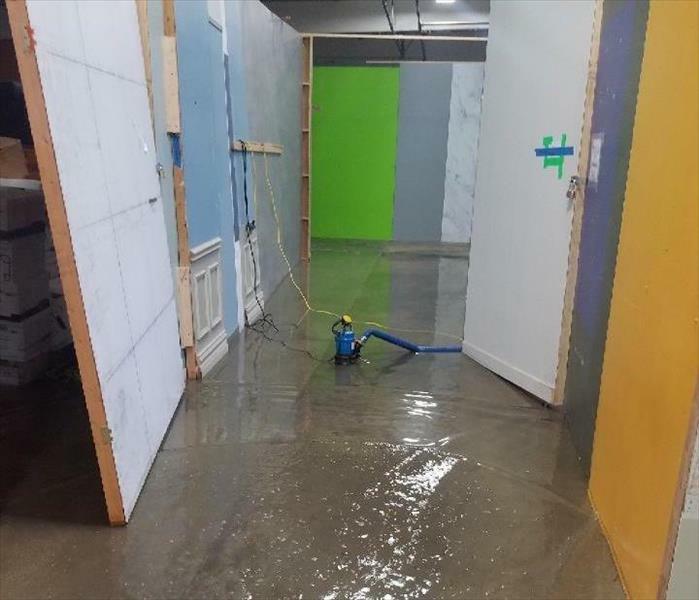 When this office space in Torrance became flooded, SERVPRO of Downtown Long Beach / Signal Hill was ready to remove the water and dry every inch. Here, our staff used multiple air blowers to complete this large project. 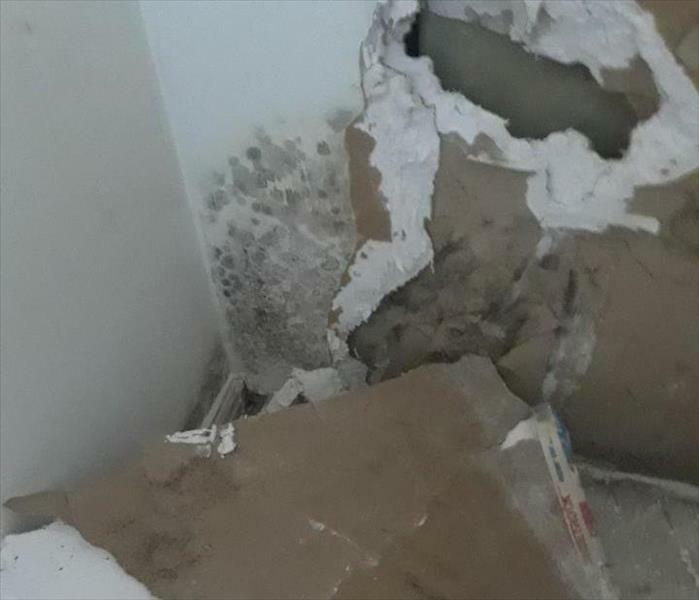 A supply line leak in this Long Beach condo resulted in extensive water and mold damage to several rooms within the home, including the closet pictured here. Be sure to schedule an inspection if you detect mold growing in your home. A dishwasher leak in this Long Beach apartment went undetected for some time. 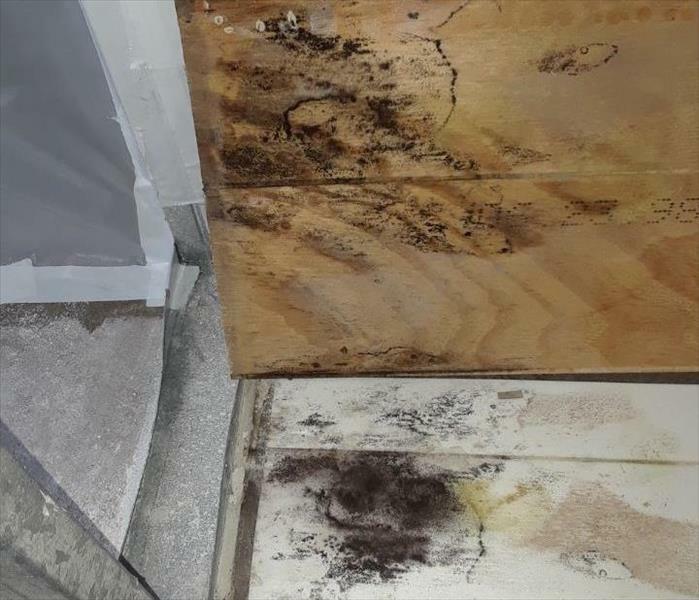 Upon discovery, SERVPRO of Downtown Long Beach/Signal Hill inspected and found damage and mold growth in areas including the drywall and insulation. A containment was set-up and after testing was completed, the mold was remediated. Unregulated water from a neighbor's yard seeped into this Long Beach home's garage. 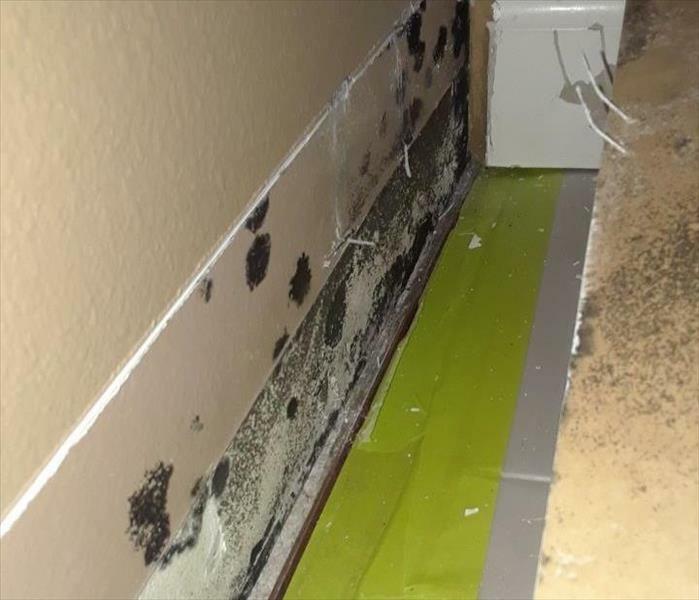 Left unchecked the damp, moist environment caused unhealthy mold to grow. SERVPRO of Downtown Long Beach/Signal Hill effectively remediated the mold. A Long Beach business was flooded when a truck driver accidentally backed into a fire hydrant, shearing off its base and sending thousands of gallons of water into the street and adjacent buildings. SERVPRO of Downtown Long Beach/Signal Hill was called to the scene for water remediation and repairs. WE LOVE OUR CUSTOMERS! A GREAT EVENT! Our Paint, Sip & Snack was a Super Success! 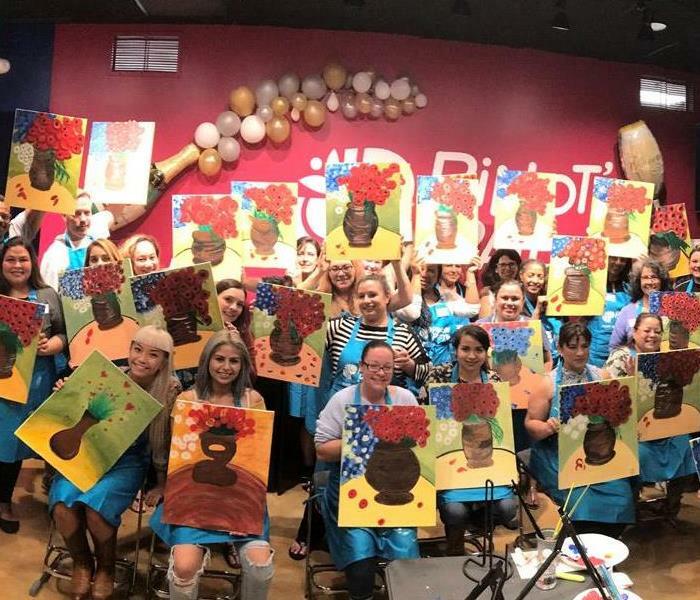 Our Customers' Inner Artists were on full display when they put paintbrush to canvas and produced incredible Van Gogh re-creations! Everyone had a fun time and left with a great keepsake of the event. We appreciate all the support our wonderful customers show us and one way to show our thanks is with a little bit of fun! 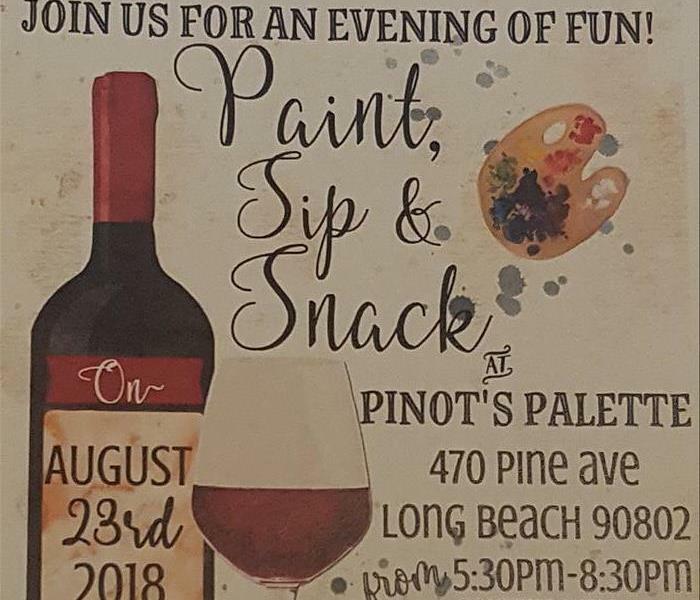 This time it's with a Paint, Sip & Snack event at a local studio!! 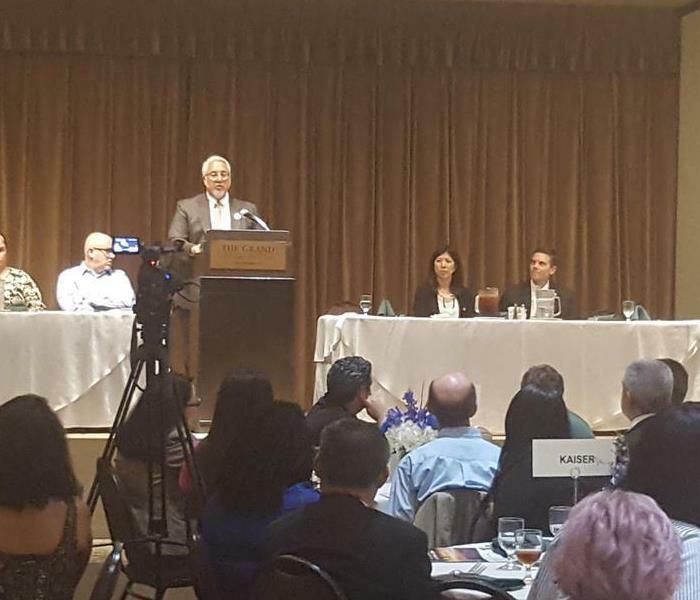 The Signal Hill Chamber hosted its Annual "Meet the City" luncheon today featuring Mayor Tina Hansen and the City Department Leadership Team. We are pleased to support this terrific business organization! Our Social Media really took off when we were lucky enough to bring on Maria Nicolosi, rising Senior at Chico State, as our Summer Intern. She was responsible for all of our media channels and activated our programs by increasing followers and with her daily postings and frequent blogs. Maria brought a lot of energy and ideas to the office. She also benefited by learning about the restoration business and the inter-workings of our team. Says Maria, "It has been so great challenging myself to learn about the industry. The knowledge I have learned from this internship is going to be great to take into the real world! Everyone has been so wonderful to work with and it definitely makes it hard for me to say goodbye!" 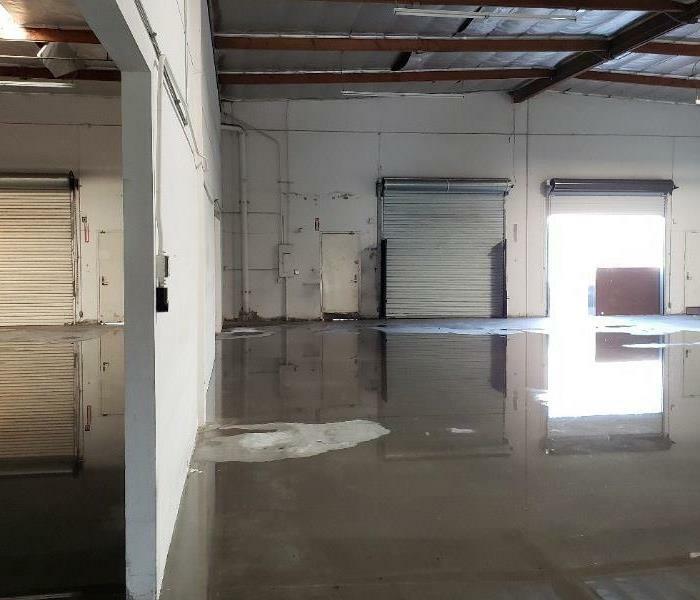 There was a water heater failure at this Whittier business causing flooding in their warehouse and water damage to the adjacent commercial spaces. 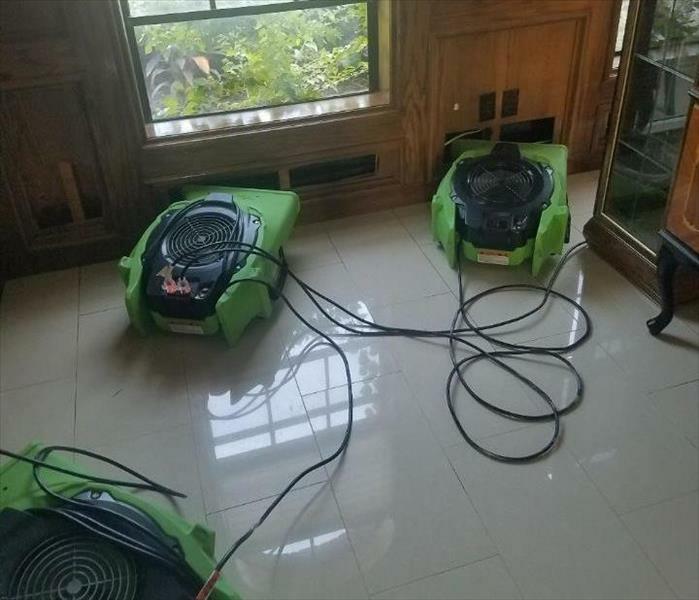 SERVPRO of Downtown Long Beach/Signal Hill responded immediately so that additional water damage was avoided and the company could get back in business as quickly as possible. Asbestos was prevalent in construction building materials up until the early 1980's when it was deemed unsafe and phased out. Since then it has been determined that asbestos is a health hazard and, when disturbed, releases fibers into the air that can be absorbed into the lungs of those exposed to the hazardous material. 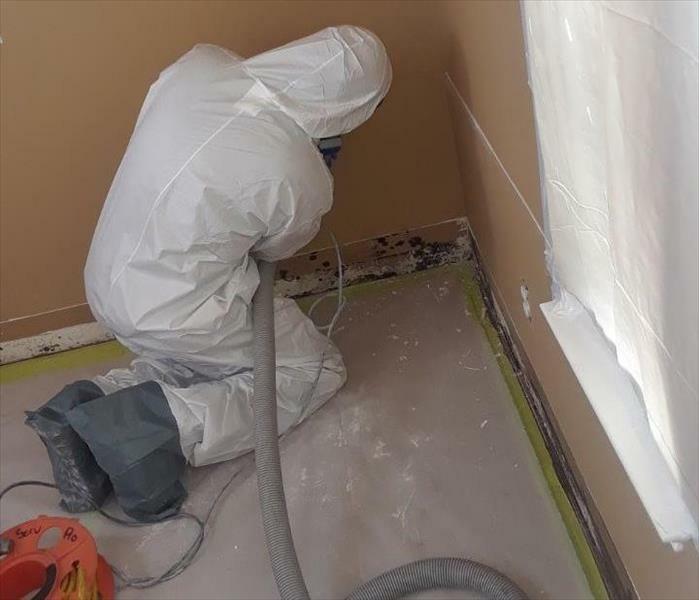 When materials containing asbestos are disturbed through sanding, drilling, breakage or just degradation over time, these asbestos fibers, thinner than a human hair, can become lodged in the respiratory system and cause a myriad of health problems and serious diseases. 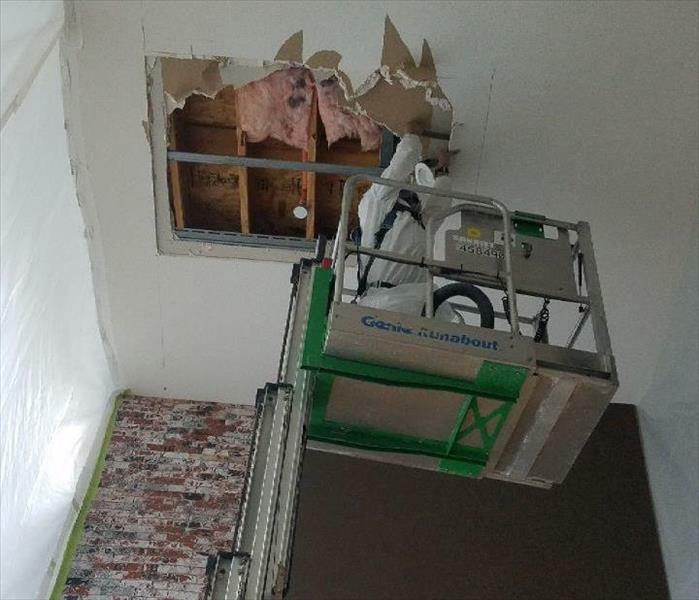 Here is a job we have in Downtown Long Beach where a water damage affected three apartments, originally constructed using asbestos, causing the ceiling to fall and releasing asbestos into the air. This duplex in Long Beach was experiencing musty odors and dampness. We did a thorough investigation of the crawl space and discovered standing water throughout the extensive space. 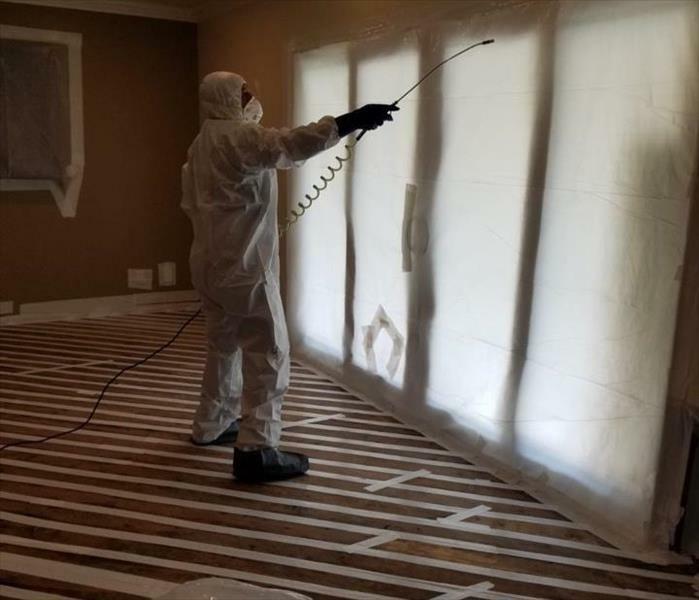 By thoroughly drying out the area we're able to alleviate the current concerns about moisture and odor and prevent the growth of mold and water seepage into the framing of the structure. BREAK IN/BOARD UP: SERVPRO CAN HELP! At 3am we received the call that a Lakewood business had their front door smashed, leaving broken glass everywhere. The facility was now open and left exposed and vulnerable to further vandalism and damage. 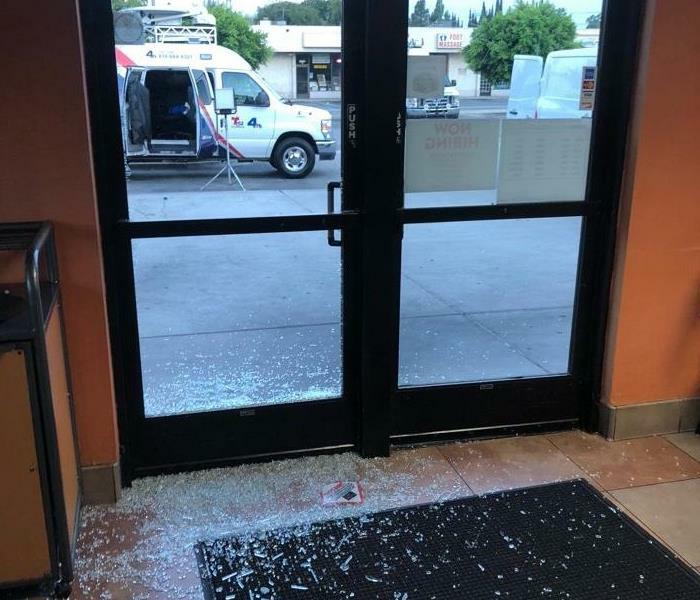 SERVPRO of Downtown Long Beach/Signal Hill responded immediately with a clean-up crew to rid the premises of the unsightly and unsafe glass. Additionally we boarded up the exposed area to secure the business until a new door could be installed. 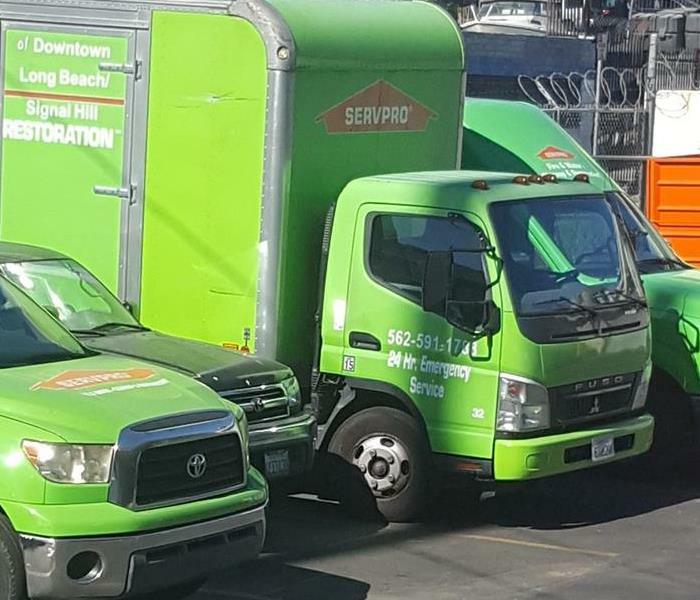 When emergency strikes, SERVPRO of Downtown Long Beach/Signal Hill answers the call 24/7 to resolve your problem and get you back in business. At SERVPRO of Downtown Long Beach/Signal Hill we have the philosophy restore first. This means that when you suffer water damage or fire damage, we'll always strive to restore your property versus replace it. This is a savings in many ways: it's a quicker turnaround, it's more cost effective and often can avoid the expense of relocation. If there are hardwood floors that have been affected, we might employ a tool called the Injectidry. This incredible piece of equipment allows us to dry in place rather than having to pull out and replace specialty flooring. When faced with a loss due to water damage or fire damage, turn to your restoration experts at SERVPRO of Downtown Long Beach/Signal Hill for the answers. 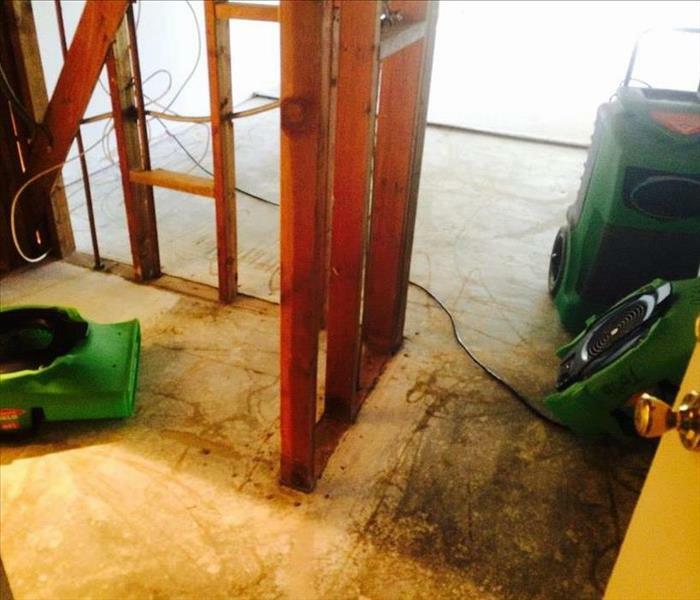 The SERVPRO of Downtown Long Beach/Signal Hill team are your water damage experts. We are ready, 24/7 to meet your water damage as well as fire emergency, mold remediation and biohazard issues. Our IICRC trained technicians and supervisors, along with our construction manager and staff will restore your property to pre-disaster condition... "Like it never even happened." HURRICANE IN HOUSTON-SERVPRO of Downtown Long Beach/Signal Hill was there! Hurricane Harvey 2017 caused massive damage to residential and commercial properties. 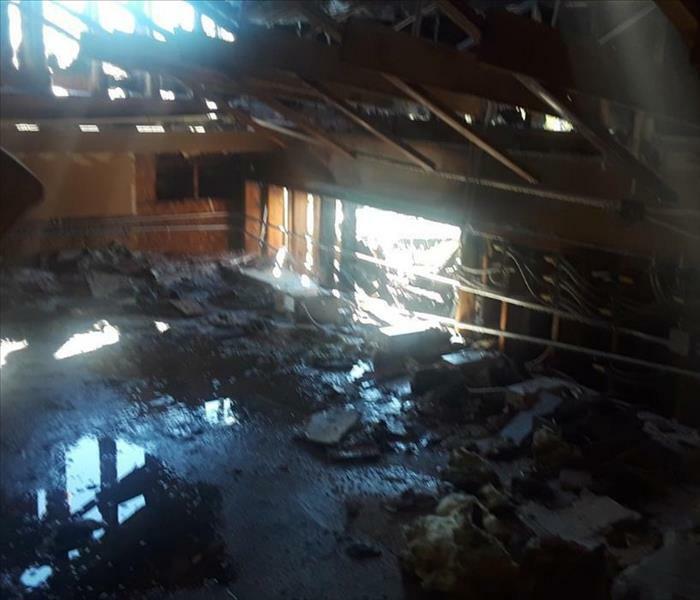 SERVPRO of Downtown Long Beach/Signal Hill's large loss team answered the call to assist in mitigating the overwhelming need for cleanup and restoration. 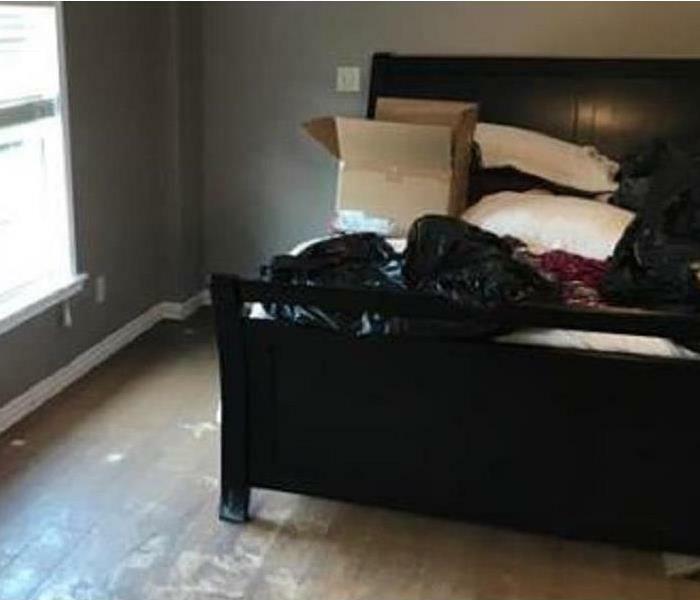 This home in Houston suffered from water travelling throughout the entire residence, leaving floors, walls and furniture covered in mud. In addition, there was standing water and swarming mosquitoes all around the perimeter of the home. 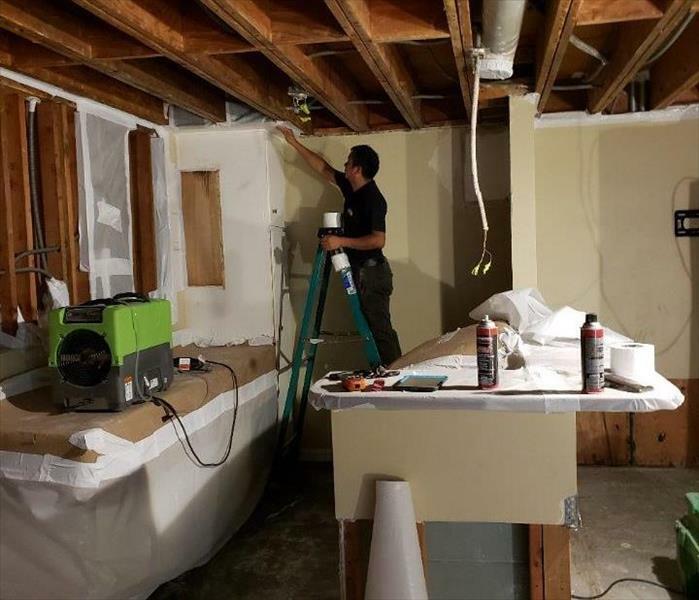 Despite the adverse conditions, the SERVPRO team effectively restored the structure to its original state and the family was able to get back to enjoying their home. Arson in this San Pedro home caused widespread fire and smoke damage. SERVPRO of Downtown Long Beach/Signal Hill responded quickly to board-up the property and then provided the needed photos and documentation to the insurance company to help move the cleanup and restoration process along, insuring that the occupants were back in their home as rapidly as possible. The ravages of fire are far-reaching and devastating. The impact it has on a family or business can be overwhelming. 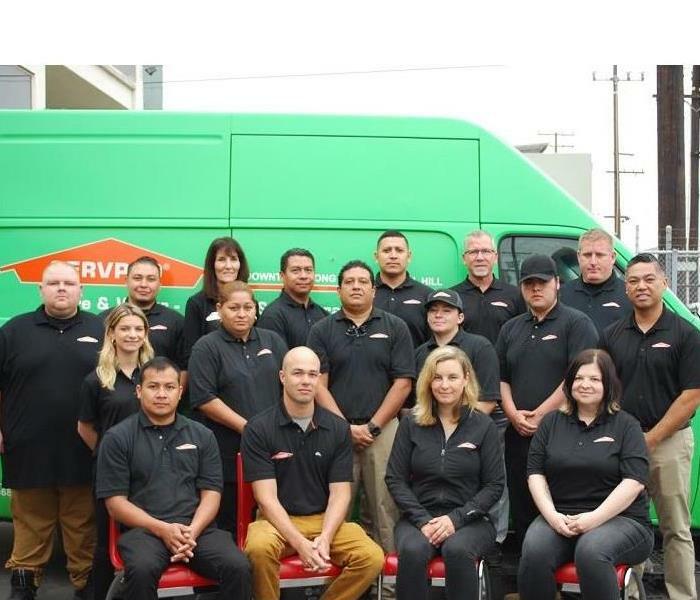 Fortunately, the experts at SERVPRO of Downtown Long Beach/Signal Hill have extensive training, knowledge and expertise in the cleanup, restoration and, when needed, reconstruction, of property affected by fire and smoke damage. Look to us to coordinate with insurance, walk you through the process, cleanup and restore your property, and get you back to every day life as soon as possible. When Hurricanes roared through Houston, causing extensive damage to property and personal belongings, we were there to help. 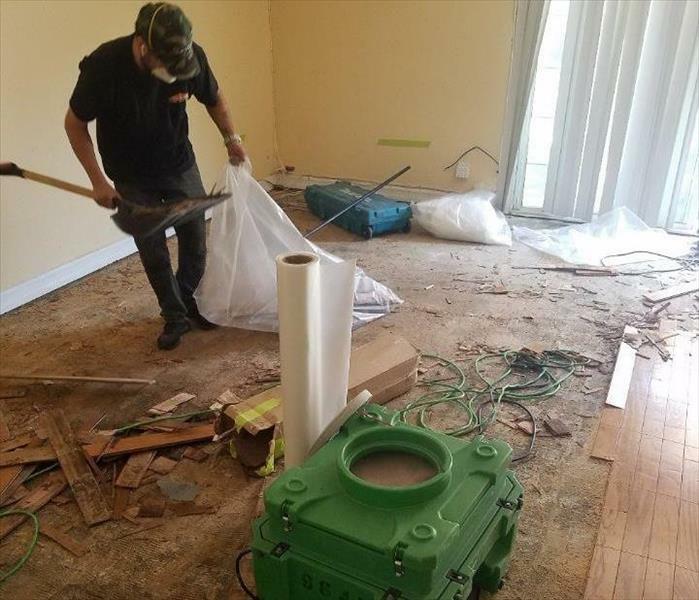 Whether it's mitigating water damage, restoring contents to their original condition or reconstructing the structure, SERVPRO of Downtown Long Beach/Signal Hill, as part of the large loss team responding to the emergency, was there to make it "Like it never even happened." Your SERVPRO of Downtown Long Beach/Signal Hill is an IICRC firm. 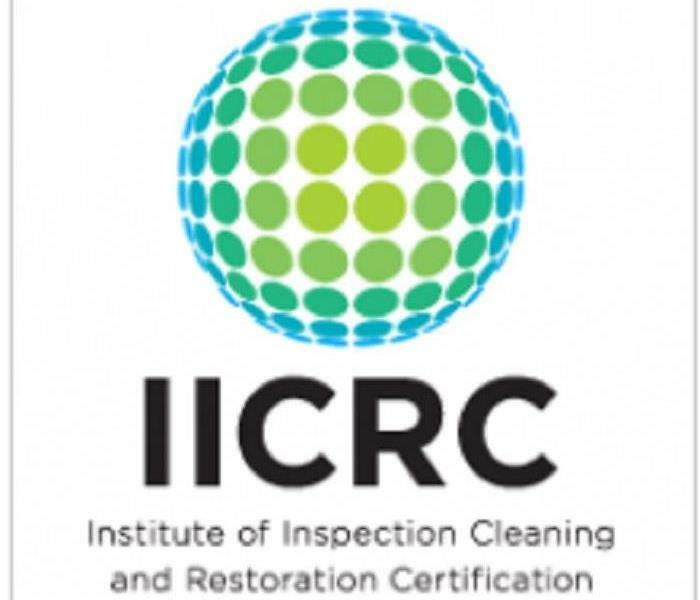 This nonprofit organization, the Institute of Inspection Cleaning and Restoration Certification, has developed and instilled an extensive examination and certification process along with a code of ethics for the cleaning and restoration industry. By meeting the standards and passing the tests and requirements set forth by the IICRC, you can be assured that your technicians have been tested on their capabilities and knowledge and have met the stringent guidelines put in place by this organization.When you see a IICRC logo, you can be confident that an IICRC-certified experienced, qualified professional is caring for your valuable property. SERVPRO of Downtown Long Beach/Signal Hill is a proud member of the IICRC. 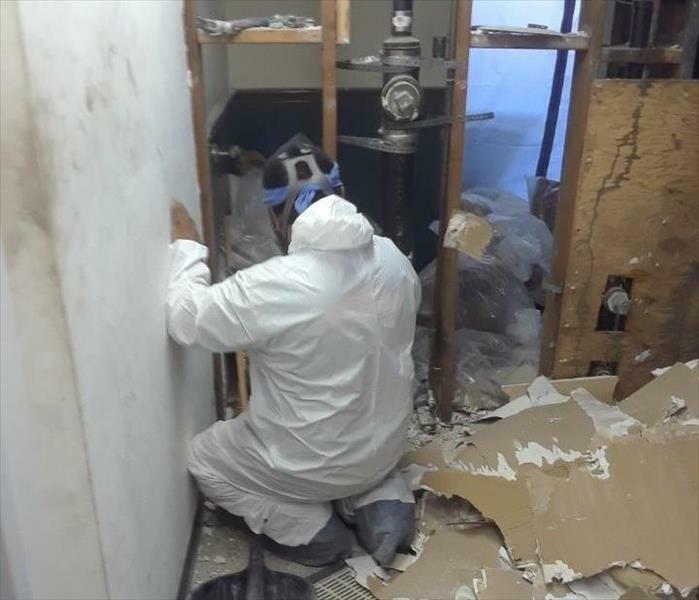 A water heater leak over the weekend caused water damage to the restroom facilities and several offices in this Long Beach business. Fortunately an employee discovered the leak and the standing water and contacted SERVPRO of Downtown Long Beach/Signal Hill. The certified technicians were able to confirm that the loss was caused by clean (category one) water. 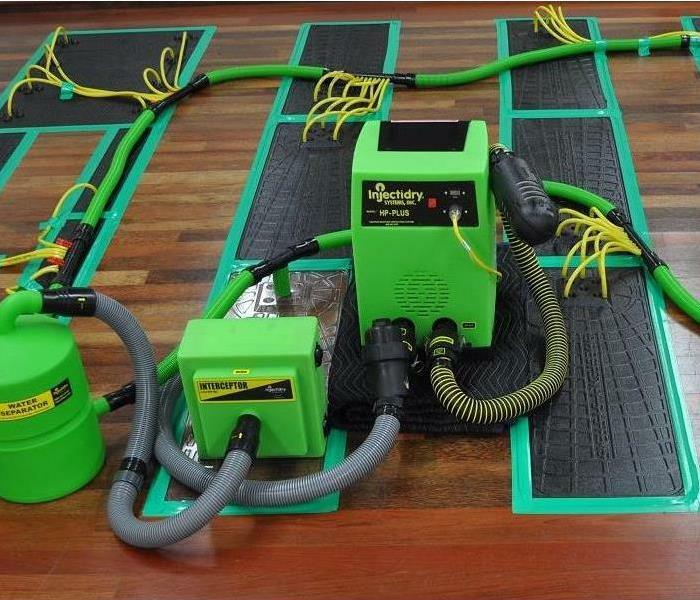 They were able to extract the water and place drying equipment before further damage to the property occurred. Whether you're a business or residence you can rely on our certified technicians 24/7 to answer your emergency call and solve your water damage problems. ANY SIZE JOB- LARGE OR SMALL, WE CAN HELP! 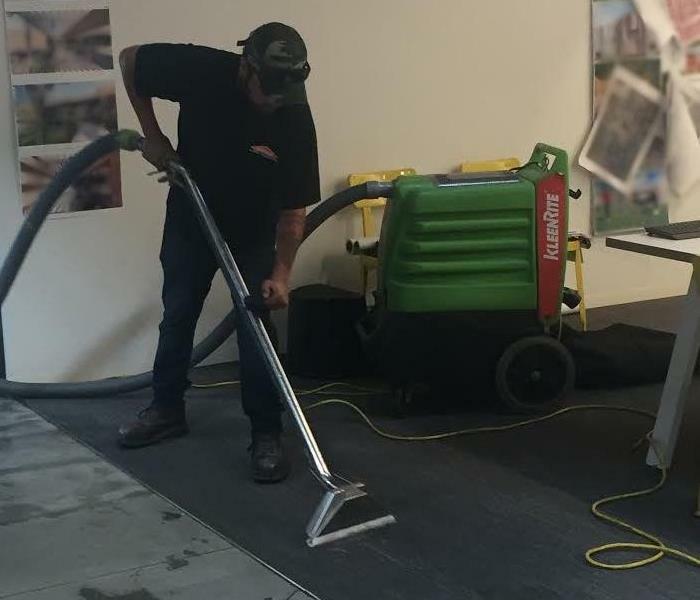 Whether you're a home owner that requires carpet cleaning, a property manager with a mold problem that needs remediation or a commercial building, like this one, with a flood that required our large team to mitigate the damage before it turned to major disaster, we're there for you! 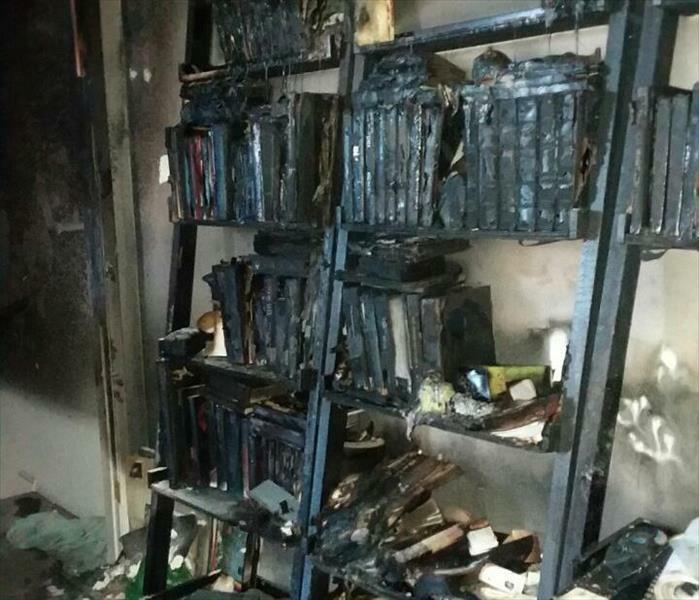 The devastation caused by a fire loss can be overwhelming. We know the emotional and financial toll it can have on a family or business. Let us assist you through the difficult times. We have the knowledge, expertise and experience to assess the damage, restore your property and personal items wherever possible, and reconstruct to complete the job. We'll help you get back on track and put this bad memory behind you. We have an extensive line of equipment to mitigate any loss caused by damages from water, fire, smoke, mold, biohazard and vandalism. 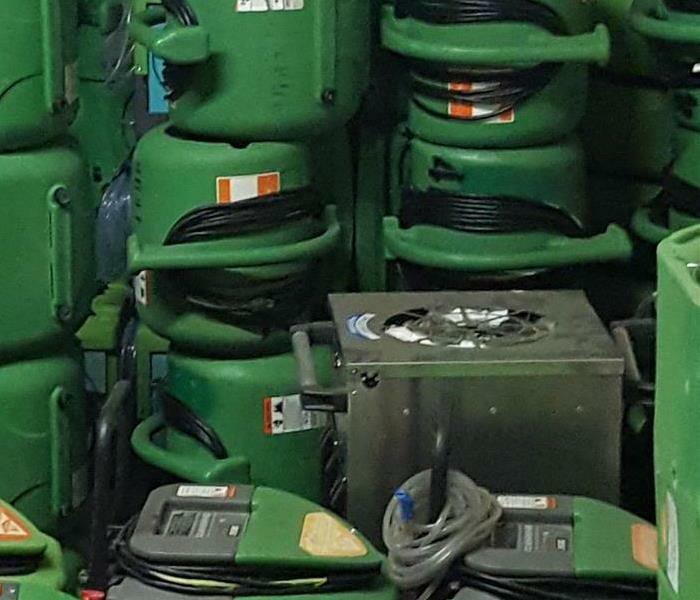 Our warehouse is filled with state of the art dehumidifiers, extractors, air movers, air scrubbers and more! When disaster strikes, SERVPRO of Downtown Long Beach/Signal Hill can help with all aspects of the loss, including storing your personal belongings (contents). 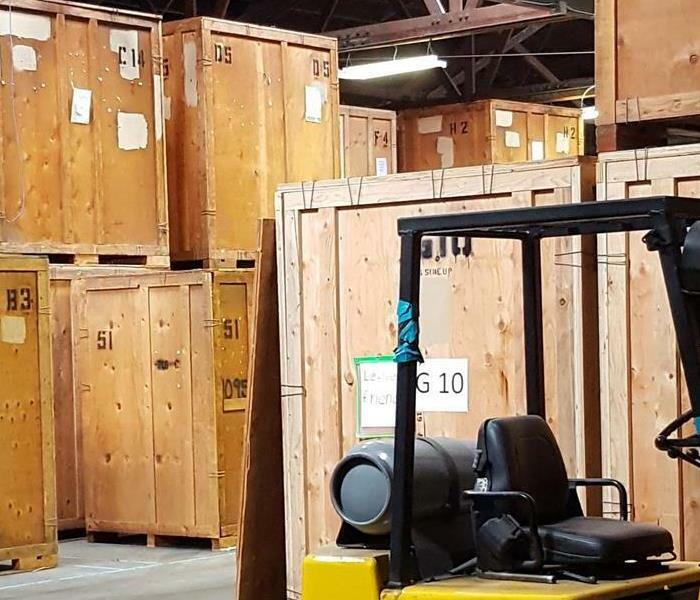 Our 10,000 square foot facility has room to house your personal goods in individual, labeled crates, insuring that your items are carefully packed and cared for until your property is ready for you to move back. No more worry about making arrangements for packing, transporting, storing...SERVPRO of Downtown Long Beach/ Signal Hill takes care of it all for you! 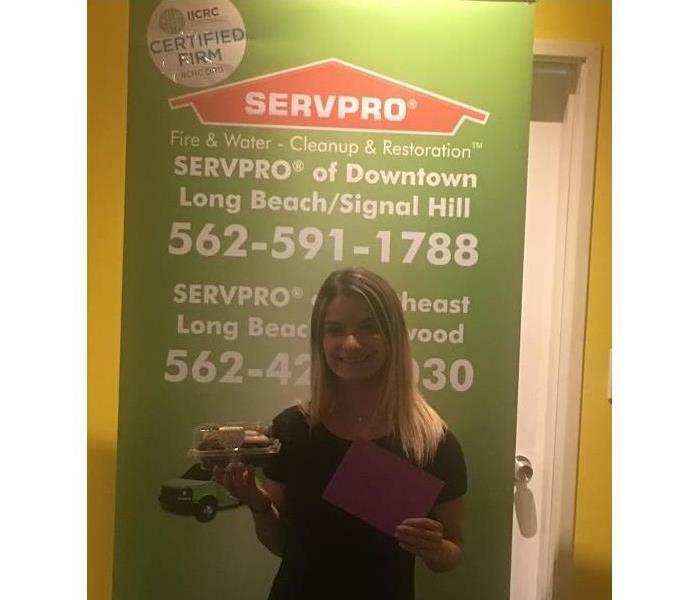 SERVPRO of Downtown Long Beach/Signal Hill Team is ready to help! 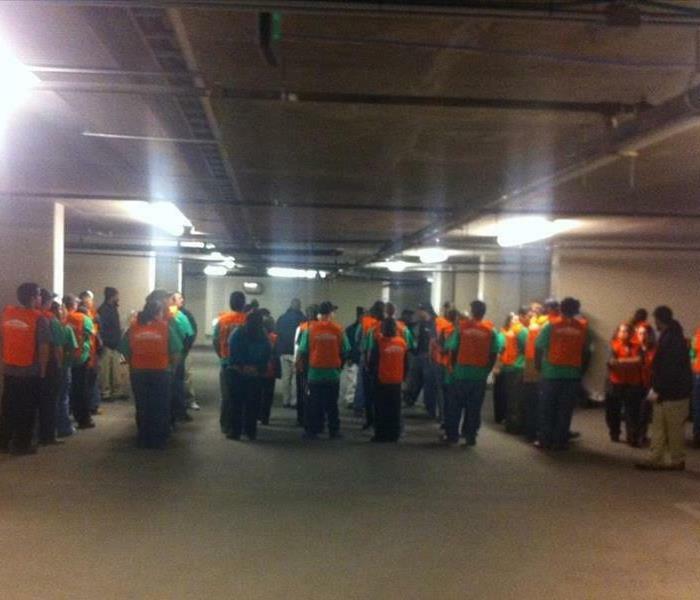 The SERVPRO of Downtown Long Beach/Signal Hill Team & Fleet are ready to serve you when emergency strikes. We're available 24/7 to address your loss no matter the cause, including water damage, fire, smoke, biohazard, mold or vandalism. Call us at 562-591-1788 so we can make it "Like it never even happened."